Husband’s chemex put to good use, while he is at work of course. Categories: Drinks, Something Sweet | Tags: chemex, lemonade, mint lemonade, summer drink | Permalink. Warm sandy beaches, azure ocean. Summer’s showmanship never fails to amaze in this part of the world, a stark contrast to the almost interminable and harrowing one back at home. To rephrase Shakespeare: as flies to wanton boys, are denizens of India to summer’s wrath! Nevertheless, summer reminds me of how the simplest things in life bring the greatest pleasure. 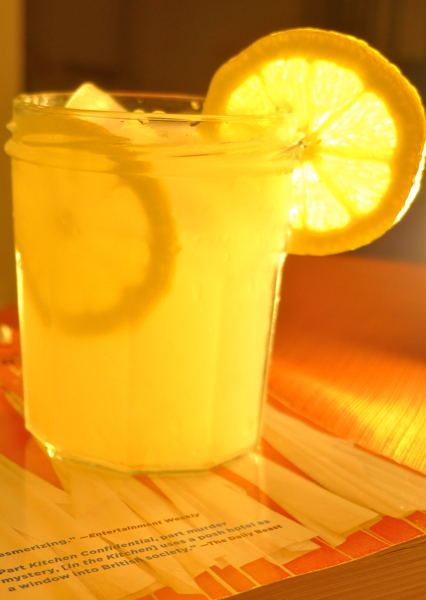 Take lemon for instance—nothing’s more rejuvenating than a glass of nimboo paani (lemonade) during summer. I covet those days when stepping out in the sun invariably meant an ice cold glass of nimboo paani would be awaiting my return. Vanquished by the raging sun I would come home exhausted, but the concoction of freshly squeezed lemon juice, cold water, spoonful of sugar and a dash of salt, worked as an instant fatigue eraser and mood enhancer—power of Vitamin C I guess. Want to rev up this humble drink? Add seltzer (carbonated water) infused with mint leaves instead of plain H2O and watch the magic unveil. 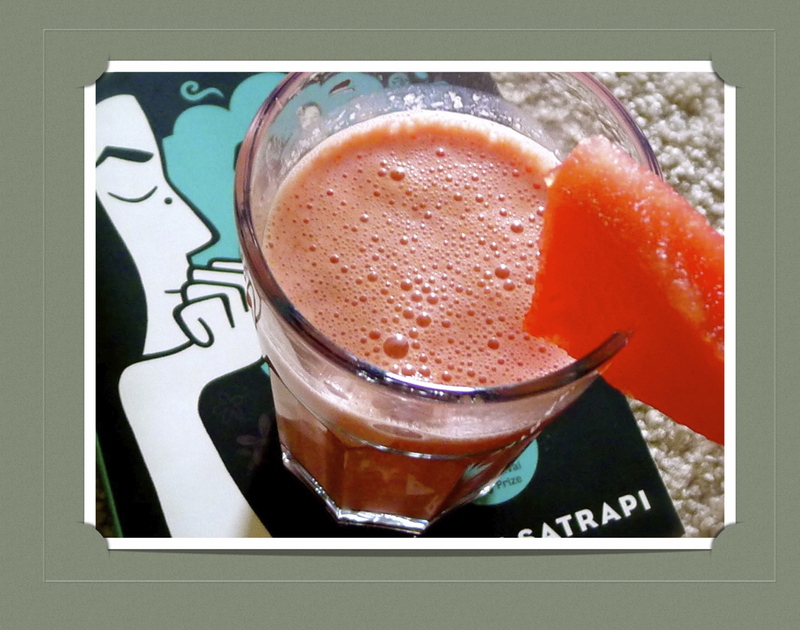 Another of my summer favorites is watermelon lassi—chunks of sweet watermelon, couple tablespoons of yogurt, sprinkle of sugar and a dash of lemon juice whizzed in a blender. Its pinkish color and frothy texture drew me to it as a child—you eat (drink) with your eyes first remember? I remember how on sultry days ma used to whip up this delicacy to welcome dad home from work. When pangs of nostalgia become unbearable I seek refuge in my blender, which whips up this frothy concoction for me in seconds. But nothing spells summer like mangoes! 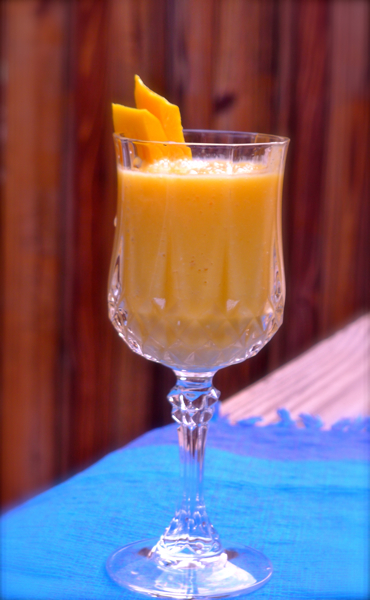 My latest fascination with the king of fruits comes in the guise of mango lassi—a rich intoxicating blend of fresh mango pulp and yogurt—a huge crowd pleaser at Indian restaurants in the US. The first time I savored this drink I was bowled over by its grip on my taste buds and the fact that I was oblivious to its presence in India! Categories: Drinks, Something Sweet | Tags: coolers, drinks, fruit drink, indian lemonade, lassi, lemon, lemon juice, lemonade, mango, mango lassi, nimboo paani, quenchers, summer, summer drinks, watermelon, watermelon drink, watermelon lassi, watermelon smoothie, yogurt | Permalink. We bond two times a day no matter what. And four if I am lucky! A cup of water goes into the microwave for exact three minutes. A five-year-old steel tea-bowl nestling a spoonful of tea leaves and a tablespoon of sugar patiently waits as the countdown begins. The microwave beeps three times. The boiling water hits the bowl. A quick stir before it’s left alone to steep for four minutes. A dash of milk adds the final touch and my morning cuppa is just a strain away. The excitement I feel before I savor my first sip is only comparable to the excitement a bungee jumper feels before s/he lets go. Or so I like to think! I relish every sip like it was my first. As my lips touch the cup, my eyes close and I feel the hot liquid slowly riding down my throat. I religiously drink two cups of tea a day no matter what. One at sunrise (10 O’clock to be honest) and another at sunset. Three, at times I feel an extra cup could variegate a moment. And four cups if I am lucky. Happens occasionally when my husband gives in to my plea to indulge him in a cup of tea. Such occasions call for masala chai. A cup of milk, a cup of water put to boil with a Tetley masala tea bag dunked in and two teaspoon of sugar to sweeten the concoction. I grate some ginger into the boiling pot just to add a personal touch. I have a fetish for teacups too. 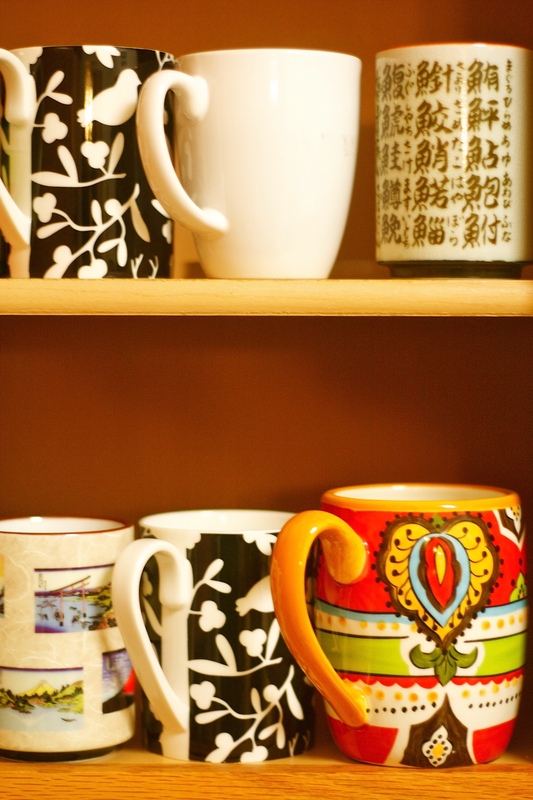 My kitchen cabinet is stacked with different types of teacups. The white ceramic ones, now bearing scratch marks, toils during the day. The precious flamboyant regal red ones make an appearance to grace special moments. The black ones with white flora and fauna prints, originally meant for guests, are called to duty when the rest enjoy their day off in the sink. The Chinese teacups are meant strictly for green tea. I believe tea tastes much better when you have company. It has the magical power of invigorating any ‘adda’ (chat) session. I remember the two ten-minute daily tea breaks I took with my colleagues during my stint at Anandabazar Patrika. Cardamom tea, Parle-G biscuit and gossip were all we needed to refresh us. I soon realized that my craving for cardamom tea was just an infatuation when I replaced it with masala tea. Now I force my taste buds into tasting green tea once in a while, realizing each time it’s not my cup of tea. But Darjeeling tea was my first love and remains so till date. When I travel almost eight thousand miles from Kolkata to Boston I load my suitcase with Darjeeling tea leaves, securely packed, to last me a year. My last packet from Kolkata is almost over but then my in-laws will be visiting us soon. So each time I scoop out a teaspoon from the now half empty jar, I smile knowing it will be full soon. Did I say half empty? I was only being pragmatic not pessimistic. If you share my passion for tea I suggest you read this article (link provided below) by Yoko Ono. It’s a good read even if tea is not your source of caffeine. Categories: Drinks | Tags: cup, cuppa, Darjeeling tea, love, tea, tea leaves, teacup | Permalink.